What is a bad Performance Review? A bad review of your performance or a review of your bad performance? There is no such thing as a bad performance review. It all has to do with expectations. 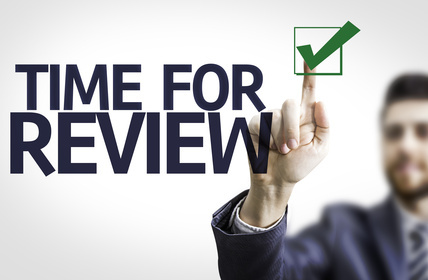 If you expect to get raving reviews and that turns out to be quite different, you may not think that this was a great performance review, yet you got some valuable information out of it. Either your performance wasn’t as great as you thought it was, or you did well but forgot to ensure your audience could appreciate it or you did great but your supervisor is clueless. All of this is valuable and actionable information. It may not feel great but getting this kind of feedback and information can help you in your career, provided you do something with the information. Be prepared, have all your documentation reviewed, job description, budget, goals, reviews etc. Have your elevator speech with a short review of your year, featuring your accomplishments, ready. Insist on clarity, I’m a stickler for goal clarity and you need to ensure that you are clear how the feedback that you receive is related to the goals that were set earlier. Take responsibility for your actions, don’t dwell on all the hurdles that may have come up during the year, mention them but this is not the time or place for all horrible details. Stay positive, make suggestions, ask questions, be engaged in the process. As a manager you probably also have to be at the other side of the table and provide performance reviews for your team. We’ll talk about that in a future post.